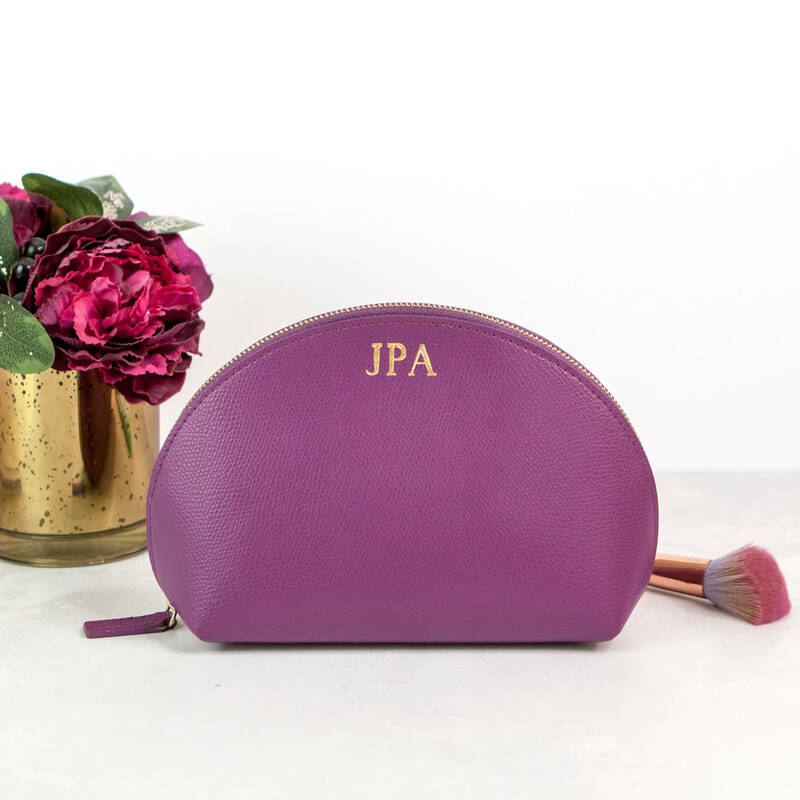 A beautiful stiff leather make up bag made in a range of colours. Can be personalised to make it really special. 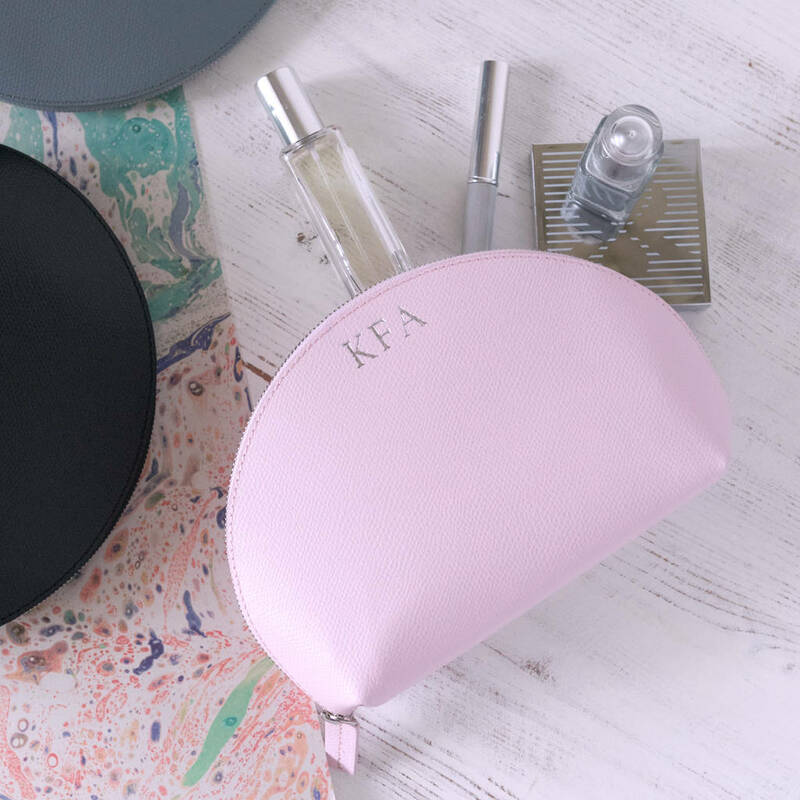 Make up bags are one of those things ( like shoes, handbags, coats..) that you can never have enough of! And they don't last for ever, so it's always such a treat to be given a new one. 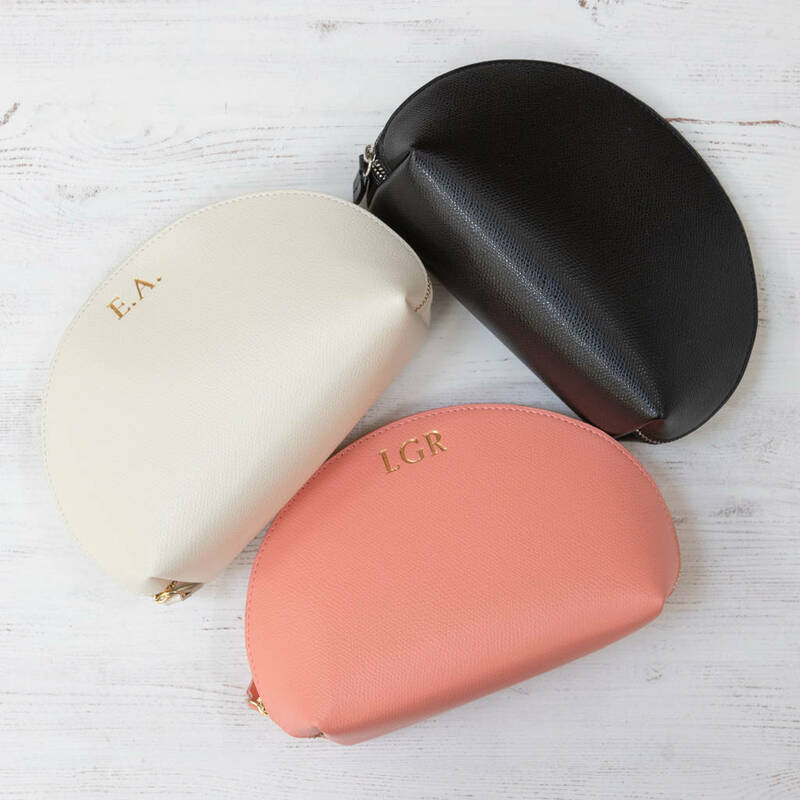 In beautiful colours, these leather cosmetic pouches are tactile, beautiful, elegant and useful - perfect! 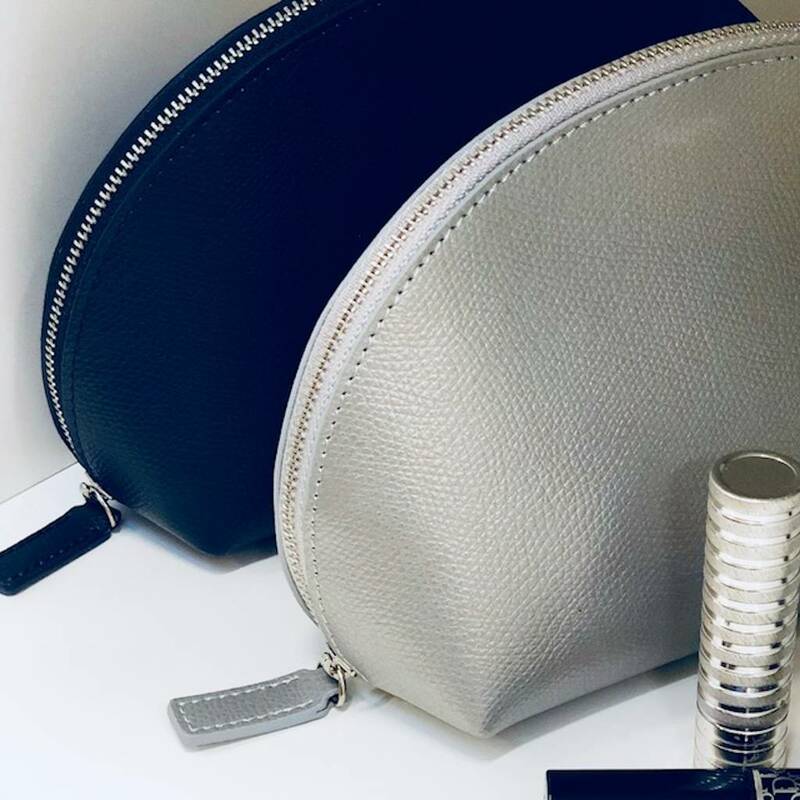 This make up bag is large enough to carry lots of make up, but still small enough to fit in the handbag. 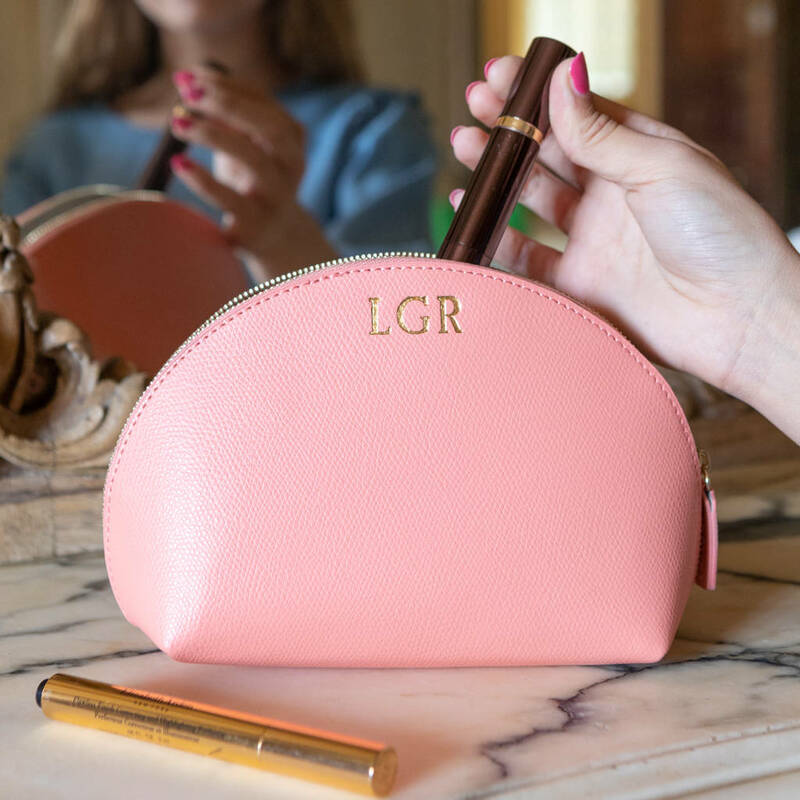 This personalised make up bag is a great gift for a friend, sister, mother - everyone loves a new make up bag. 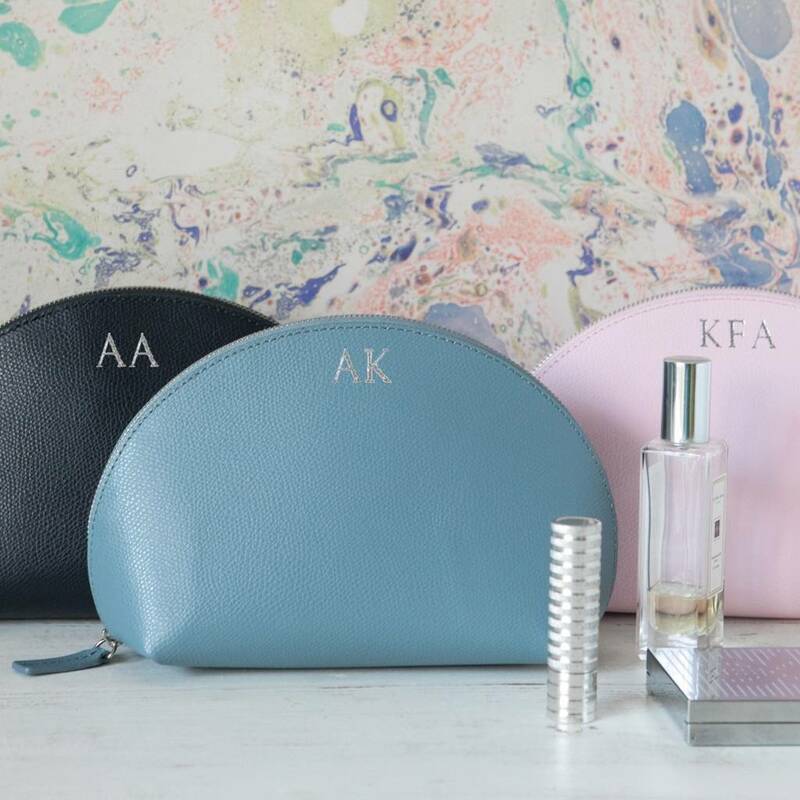 You can personalise your make up bag with up to five initials in our lovely bold font. We print in gold on the mulberry, peach, ivory and gold bags and silver on the pink, grey, silver, black and midnight blue (dark navy) bags. 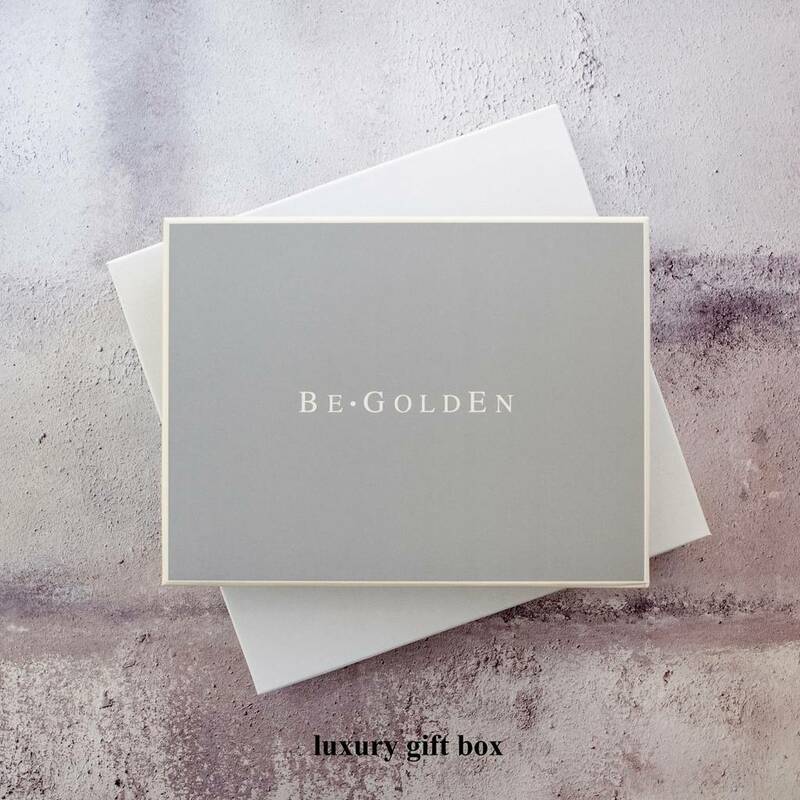 We offer luxury gift boxes for £8 - perfect for gifting. 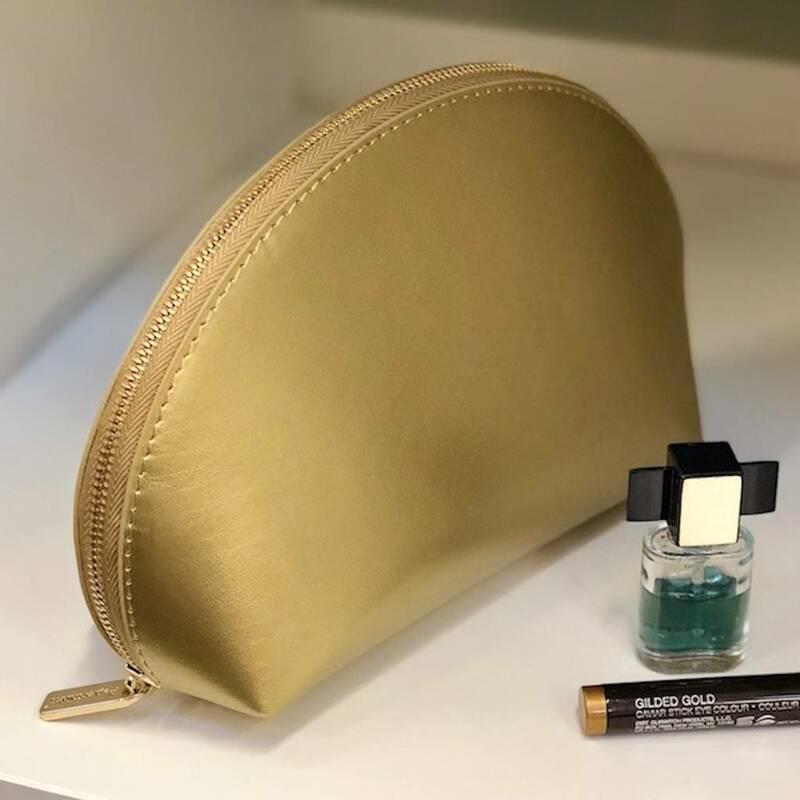 These make up bags are made from beautiful quality, stiff recycled leather with a complementary fabric lining. All the colours apart from gold have a beautiful textured reptile finish for a lovely premium feel. The gold has a smooth leather finish. These make up bags are 20 cms long, 13cms tall and a depth of 7cms.